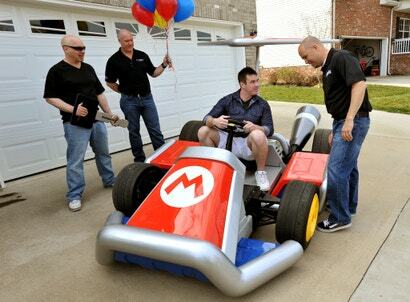 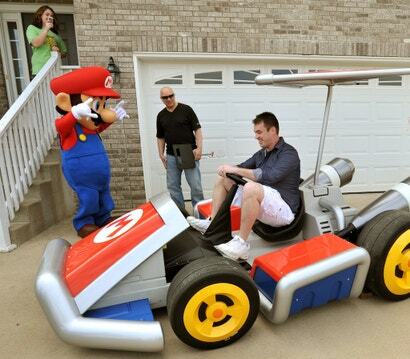 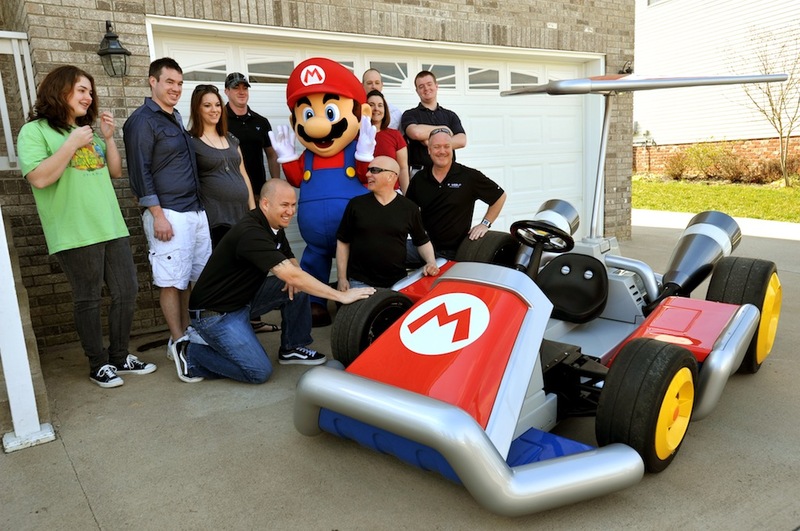 Now you, too, can drive around your very own Mario Kart-themed Mario Kart. Assuming you're 27-year-old Nathanial Stehley, who won himself a life-size kart racer as part of a GameStop rewards program. 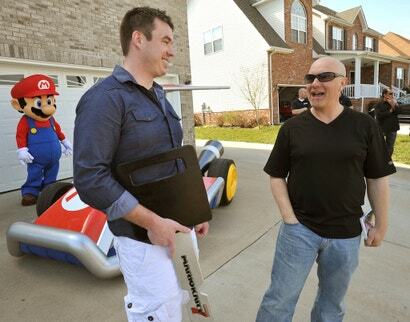 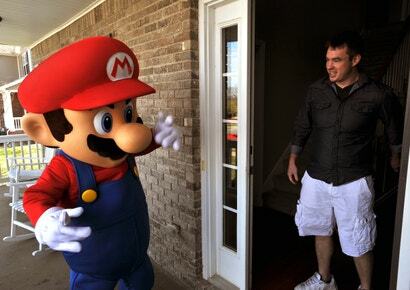 Nintendo sent out these pictures last night of Stehley receiving the grandiose prize, complete with a comically sized key and a comically sized Mario to deliver the goods. 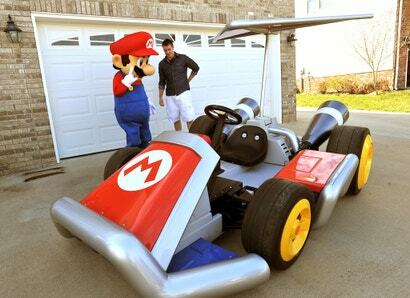 We're quite jealous. 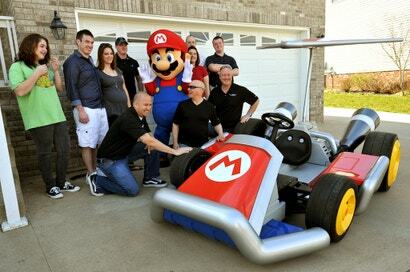 Although the kart probably wouldn't last very long if we tried to drive it here in Manhattan. There are red shells everywhere.